New to MidlandsMBO? Click Here! and remember to select the right class as you enter! We will be running a series of 12 Mountain Bike Orienteering events. The details of the next event are shown above, whilst the dates and locations of our 2019 events are listed on our events page. Full results and by-class results are on our results page. Affiliated to British Mountain Bike Orienteering - the national governing body for mountain bike orienteering. 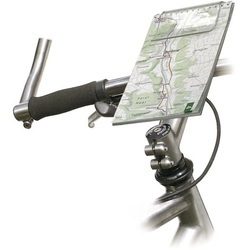 Plexiglass map holder suitable for most map sizes. Easy to remove, by pressing the red button, thanks to quick release system. Includes KLICKfix Mini Adapter for easy mounting on handlebar or stem.